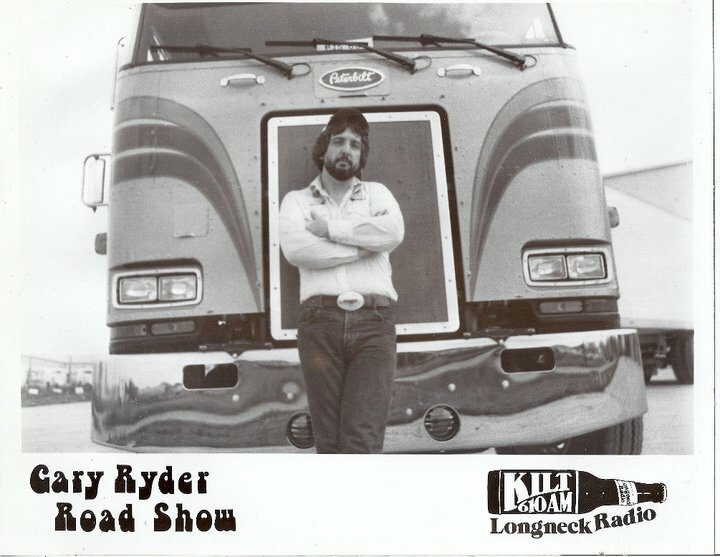 Gary Ryder checked in with some audio of himself on COUNTRY 610 KILT. Much like KHJ in Los Angeles, KILT had been a full blown Top 40 station but saw ratings slide with the increase in FM radio listening. In this case, KILT flipped to Country shortly after the FM side dropped its AOR format for Country, and 610 opted to simulcast the FM for much of the day, but as you can tell here, not ALL of the day, as this is a live AM-Only show for truckers. Could this have been a precursor to “The Road Gang” show, long broadcast from WWL New Orleans? We’ll have to ask our Contributor! I knew Gary from the time he came to the station, KILT, to the time he died. He was no poser. He drove trucks. He drove in truck rodeos. He had a following that loved him. It’s just like any show, if you like it, great, if not, there is another button on the radio.